The 3rd Edition release now includes 12 albums -- 160 songs -- including Daniel's latest album Song Unsung. Over 11 hours of inspired listening! ​An amazing collection of some of the finest inspirational music available today. With a full set of lyrics, original CD cover art, selected liner notes, never-before-seen photos, and unreleased bonus tracks. Available now as a collectible USB Flash Drive OR Digital Download. JUST BEGUN - 3rd Edition. An expansive collection at a truly affordable price. 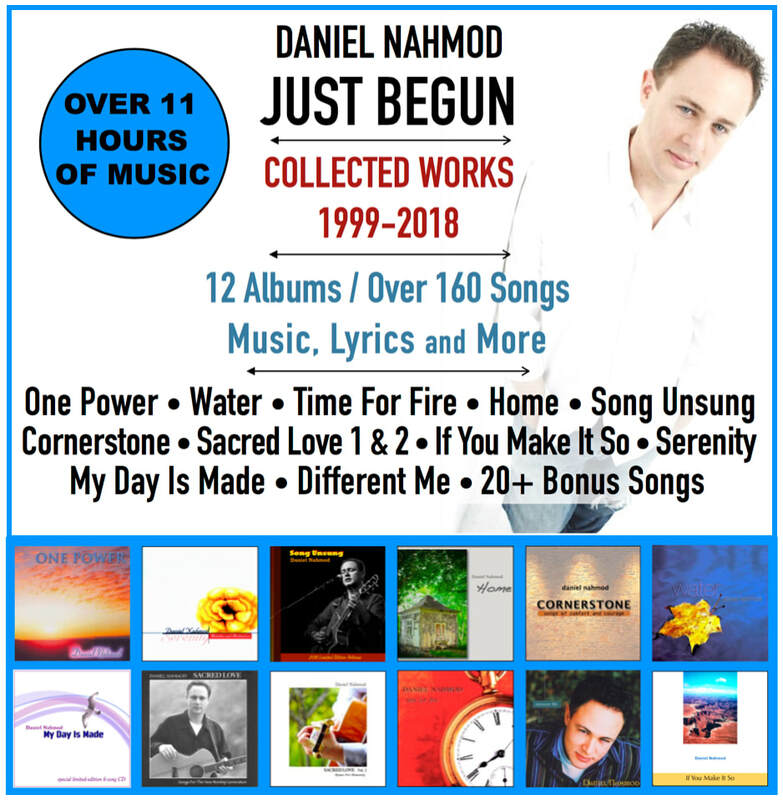 Bring Daniel's music with you wherever you go... discover songs and entire albums which are sure to become your new favorites... or introduce family and friends to the work of this brilliant and beloved singer-songwriter. your download link in minutes! ​Includes such extraordinary, award-winning songs as One Power, Get Ready My Soul, Last Song, Everything New (Bring It On), Love Is My Decision, Here Goes Nothing, Blind For A Day, Empty Hands, When I Pray, As Best I Can, Can You Help Me Find It, Inside To Find My God, That One, Sharing (Is The Very Best Part), I Don't Need To Know, Why Wait, And So Are We, If The Race Is Over, Unjaded, Breathe The Same Air, Swing Wide The Doors, When It's Time... all your favorites, and many, many more. Total Collection size: Approx. 800 MB. Mac & PC Compatible. USB 2.0 Flash Drive. File formats are MP3 for Songs; PDF for Lyrics and Liner Notes; JPG for images. Download is delivered in one Zip file; double-click the downloaded file to open.